Beaches features more than 20 cities across six continents: Australia: Sydney; North America: Santa Monica, Miami, San Francisco, Kaua'i, Chicago, The Hamptons, and Cancun; South America: Rio de Janeiro; Europe: Capri, Rimini, Forte dei Marmi, Viareggio, Amalfi Coast, Barcelona, Lisbon and Saint-Tropez; Africa: Cape Town; Asia: Dubai. 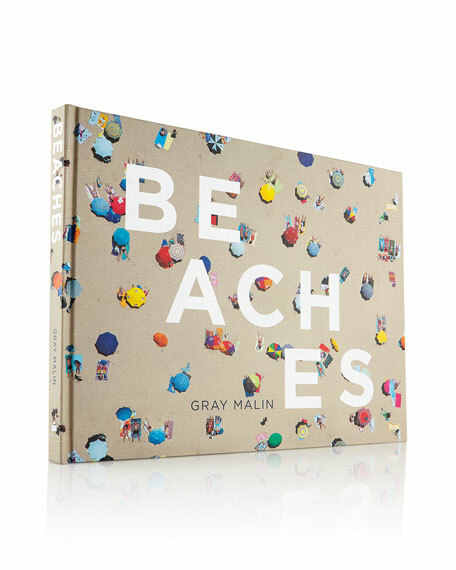 Author: Gray Malin, artist of the moment for the Hollywood and fashion elite. His awe-inspiring aerial photographs of beaches around the world are shot from doorless helicopters. 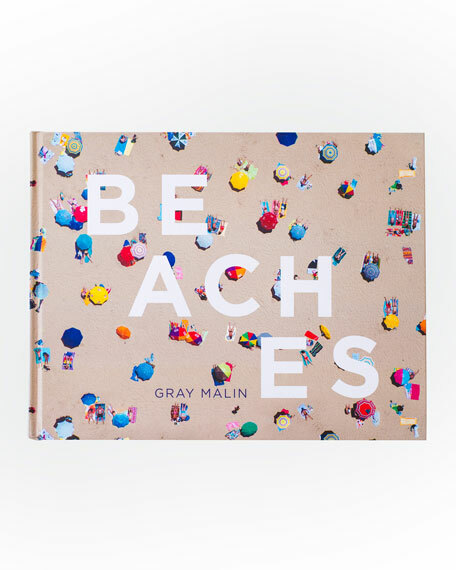 144 pages; 125 color photographs. For in-store inquiries, use sku #1856621.